Lithuania has a very high human development index, making this EU nation an ideal place for expats looking to move into Europe. Considered as the largest of the three Baltic States, Lithuania covers an area of 25,200 square miles. The country has a mild climate, ranging between maritime and continental. Investors in Lithuania expect the economy to remain robust amid the Russia-Ukraine crisis. Lithuania, Russia and Ukraine are members of the Council of the Baltic Sea States (CBSS). According to the Association Investors’ Forum, 43% of foreign companies in Lithuania “expect that demand for their production will increase” in the second quarter of 2014. Companies are also projected to increase the number of jobs by 37%. The Lithuanian economy is thriving to shift towards sustainable industries such as information technology, biotechnology and mechatronics. The EU state is currently the centre of industrial and diagnostic biotechnology in the Baltic region. Some of the jobs in high-technology sectors include Research & Development (R&D) managers, food technologists, research scientists, laboratory technicians and product design engineers. A number of multinational companies operate in Lithuania, most of which are based in the capital city of Lithuania. British bank Barclays opened its Technology Centre in 2009 while money transfer company Western Union established a European Regional Operating Centre in 2011. Société Générale, Phillip Morris, GlaxoSmithKline and United Colors of Benetton also have offices and factories across the country. The cost of living in Lithuania is relatively lower compared to other European states. Its price level can be closely associated with those in Latin America. Aside from cheaper goods and services, the country has the lowest tax rate in the EU at 15% - personal and corporate tax rates. However, income levels in the Baltic state are relatively low. When compared to US rates, the average annual wage in Lithuania is USD $4,686. A typical worker in the US earns USD $15,080 each year, based on 2009 prices. The hourly rate in Lithuania is USD $2.25, way below the USD $7.25 across the US. Healthcare in Lithuania is one of the most affordable in Europe. The country provides free medical care, including ambulatory services, for all citizens and permanent residents. State-funded health care centres offer outpatient services including general practice, maternity and child care, and dental care. A wide range of specialist services is also available in hospitals and clinics in all major towns and cities.Many expats, however, prefer private insurance coverage that guarantees better services at lower costs. Lithuania’s top clinics and hospitals are located in the Kaunas, Panevėžys, Šiauliai and the capital city of Vilnius. The largest hospitals in the country include Panevėžys Hospital, Šiauliai Hospital, Hospital of Lithuanian University of Health Sciences Kaunas Clinics, Kaunas Red Cross Hospital, Republican Children's Hospital, Vilnius Red Cross Hospital, and Vilnius University Hospital. Lithuania is the southernmost, most famous Baltic country in Europe. You should be prepared with the extreme climate once you decide to relocate; summers could be very hot and dry while winters are known to have a freezing temperature. The locals are naturally quiet which is sometimes mistaken by some expats as an unwelcoming attitude. But once you get to know the Lithuanians and their colourful culture, you will see that they have a very vibrant community. Read on the next few guidelines to find out more about how you can make your relocation to this Renneisance and Baroque inspired nation a real success. There are many real estate agencies in Lithuania that you can find through online portals. Some even have their publication. You can seek assistance from local realtors who know the market very well and have a broad range of housing options. Other ways that you can try is to look on newspapers for listings or ask your fellow expats for referrals. The payment for utilities and maintenance is not included in your monthly rent. In main cities, the average cost of essential services like gas, electricity, water and garbage collection is €150. Local mobile prepaid calls are charged €0.10 per minute and your internet connection with a minimum speed of 10mbps is around €10 per month. You can always purchase a property in Lithuania, but the process can be a bit lengthy. Rest assure that there are enough rentals in the market to meet the growing demands of expats looking for housing. You can choose between a short term or long term lease agreement, based on the time you intend to stay. Also, be financially prepared because most landlords require six months worth of rent in advance. 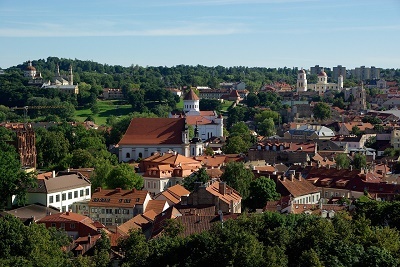 Vilnius is the capital of the country and one of the top residential spots for most expats. Here you will find a huge number of corporate offices, shopping malls, restaurants and bars. Despite its active nightlife, Vilnius is also known for many historical architectures that radiate Lithuania's traditional vibe. You can find a one bedroom apartment in the metropolitan district for €400 and a three bedroom unit for €700. If you are searching for a neighbourhood with a more relaxed environment, you can go to Visaginaswhich is located in the East part of the country. This city is known for its cleanliness and well-maintained environment. Your children will love living here because of the many playgrounds, recreational parks and lakes that are perfect for a weekend family bonding. A one bedroom apartment in Visaginas can cost €200 per month and €350 for a three bedroom unit. Lithuania provides free but compulsory education for children between the ages of six and sixteen. They use the Lithuanian language in public institutions that's why most expats enrol their children in international schools like the Vilnius International School. There are also many local schools across the country that provides quality education for both locals and foreign nationals. The oldest university in Lithuania and among other Baltic states is the prominent Vilnius University, which was established in 1579. The most efficient way to moving your belongings abroad is through an experienced shipping and removal company. Most of them provide door to door service that will make the whole relocation process easier. The average transit time to Lithuania is 10-19 business days, depending on your country of origin. The Port of Klaipeda is the largest port in the country and where local customs receive the containers for inspection. You can bring your pet with you in Lithuania as long as you provide the necessary documents like their Rabies Certificate, Microchip Implantation Record, EU Veterinarian Health Certificate and the International Health Certificate which should be issued ten days before your scheduled arrival. Also, make sure that all these paperwork are stamped and approved by the USDA from your country of origin. Lithuania’s blend of Russian and British influences has been made more interesting by many foreign nationals living in the country; making it a melting pot of diverse cultures. It is just the beginning of your new journey and Lithuania ensures that your adventure will be full of surprises. Lithuania has been ranked as one of the fastest growing economies in the world. As an expat who’s looking for a place to make a living, it is really appealing when you learn that Lithuania, even as a small country of the European Union has the lowest tax rate among other nations in the EU. Lithuania is a place where expats will find the magnificent blend of Soviet and baroque architecture standing side by side with modernised business infrastructures. Many will marvel at its undeniable charm that radiates from its abundance of well-preserved natural beauty. Lithuania is often referred to as the jewel of Eastern Europe because aside from its progressive economy, it is also the home of the stunning coastline called Curonian Spit which is a UNESCO World Heritage Site. 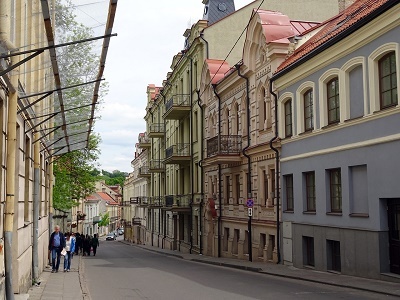 The Republic of Lithuania has an estimated total population of 2.8 million and most expats live in the capital Vilnius, city known for its vibrant culture and arts scene. Lithuania offers a gamut of exciting activities that will help expat parents from keeping their kids from feeling home sick. From indoor to outdoor fun, this farthest Baltic country has it all. Those who love marine life can head to the Sea Museum-Dolphinarium and Aquarium where kids can learn about the history of sea life while walking in dungeons and participating in interactive quizzes that’ll test their knowledge about sea biology. Another amazing indoor destination in Latvia is the Toy Museum which displays the history of toys from the oldest to the most recent. Here, children will enjoy playing with toy replicas while listening to fairytales and participating in workshops facilitated by professional educators. Lithuania is also the perfect destination for nature loving expat families. This country houses dense hills, forests as well as picturesque rivers and lakes. The Aukštaitija National Park is considered as the most famous national park in Lithuania where up to 200 year old pines and more than 126 lakes can be found. When it comes to some outdoor adventure, the LABAS Adventure Park is the place to be. It has over two kilometres of tracks in trees and 40 zip lines. The LABAS Adventure Park is situated near the city centre of Vilnius and is also an ideal venue for picnicking, birthday parties and team building activities. Lithuanians are extremely proud about a particular sport: basketball. For them it is more than just a game but also a symbol of freedom because the locals have been oppressed by the Russians for a long time. Lithuania barely had enough funds to send the national team to the 1992 World Olympics held in Barcelona but despite the hardships, their heroes brought home a bronze medal. Before gaining sovereignty from the USSR, the local players were forced to represent the Soviet Union and in 1988, Lithuanian athletes competed in the Olympics and won a gold medal not for their nation but for the Soviets. Basketball was the first sport where the Lithuanians competed and won as a proud independent country. According to the International Basketball Association (FIBA), Lithuania is consistently one of the top-ranked countries in this sport and has the most number of NBA players per capita. Expats bound here should know that the way to the locals’ hearts is through knowing their beloved sport and those who share the same passion with basketball will undoubtedly feel like they are in the right place by living in Lithuania. 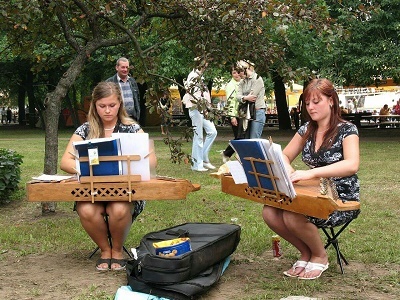 By nature, Lithuanians are reserved and are known for having deep respect for tradition. It is rare for them to go out of their way just to introduce themselves or to greet someone they barely known specially in public places. They consider it impolite to stare a stranger in the eye and it is a common practice to offer a seat to women or elderly. In the Lithuanian culture, it is a proper greeting to shake hands whenever you meet someone in a restaurant or café but never, ever inside the door. It is one of their many superstitions such as whistling indoors is a call to little devils and those who don’t want to marry soon shouldn’t sit at the corner of a table. The national religion in Lithuania is Roman Catholic which is practiced by 90 percent of its population. The influence of the Catholic Church is evident in the country’s festivals whereas most celebrations are religious observances. Gift-giving is also a common practice in Lithuania but expats should avoid giving chrysanthemums because they are used for funerals as well as white flower because they are only reserved for weddings. When it comes to dining etiquette, Lithuanians are quite relaxed. Just remember that napkins stay on the table, not on the lap and toasting is usually done with hard liquor not with beer or wine.